As parents we always want our children to grow up healthy, talented, and smart. That's why we invest in the right food, enroll them in programs, purchase educational toys, and purchase the right tools to make our home conducive to learning while playing. That's how the little children learn in the fist place right? 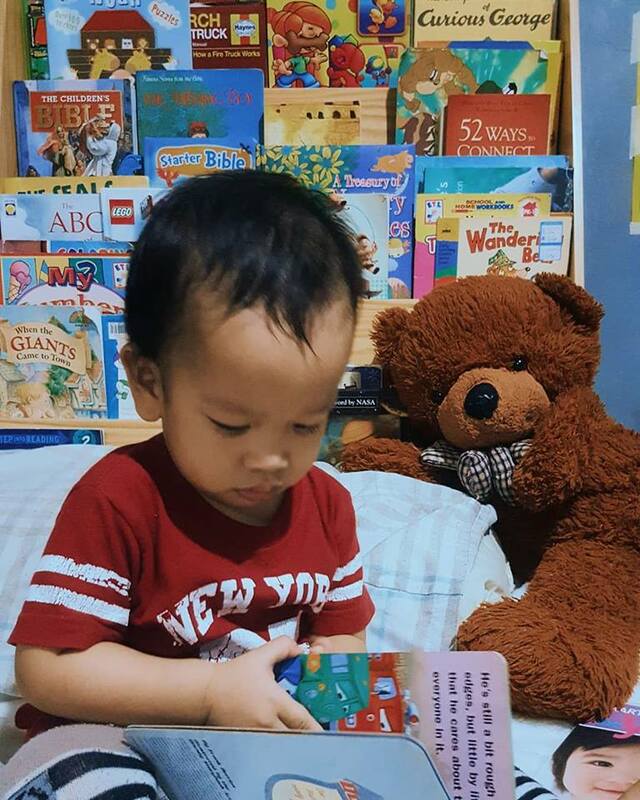 From my first son to my youngest, toys and books have been part of their motor skills and mental development. We choose their toys and books appropriate for their age. 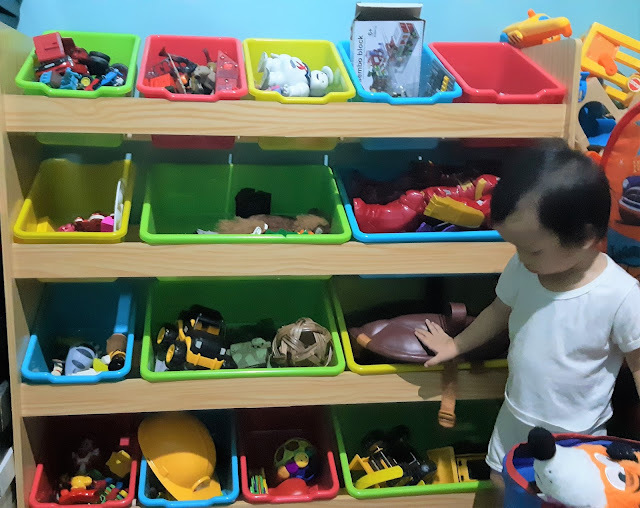 But even if I have the best intentions for my kids in my mind, I am not perfect, so I sometimes forget to also get them a good toy organizer and a sturdy bookshelf. Well, actually to be more accurate, I bought them toy chests, toy boxes, toy barrels, book ends, re-purposed shelves to store books, but there seem to be something wrong about how they are displayed or organized. I also canvassed for kids' furniture in malls or have them customized, but the prices aren't practical. Too expensive for me. Until I got acquainted with Happy Kiddos Toys and Kids' Furniture Shop PH. 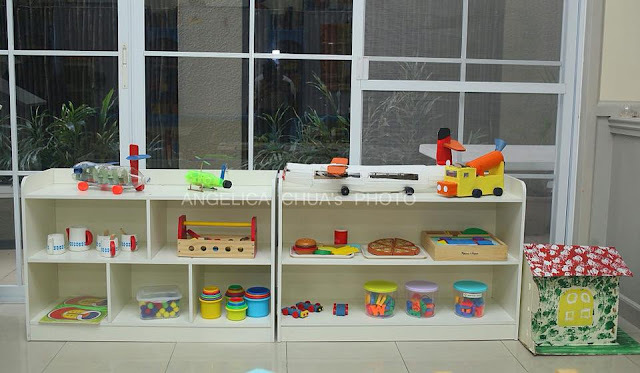 They have wonderful selection of Montessori-inspired Kiddie classroom furniture such as toy shelves/organizers, book shelves, tables and chairs. They also distribute wooden toys and kiddie playground used indoor or outdoor. Finding them was a gem and the kids and I are truly happy with the furniture we got from Happy Kiddos. I used to put their books together secured by those boring and unattractive steel book ends. They only get to see the titles of the books on the side and not the cover. So needless to say, this type of book organizing didn't entice my children to pick up the books themselves as often as now. 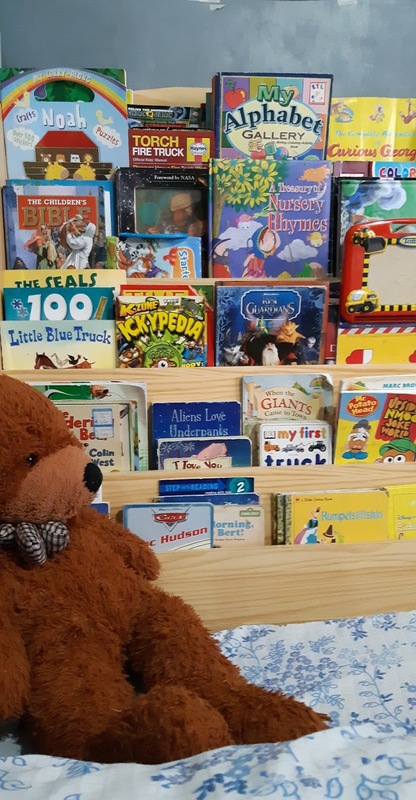 Also, I didn't realize how much books they had accumulated over the years until we displayed the books on the book shelf we got from Happy Kiddos. Since then, we got to select the books that they really like, got rid of those that didn't spark joy by giving them away. We placed it near their bed to encourage them to read books and make it a habit before bedtime. 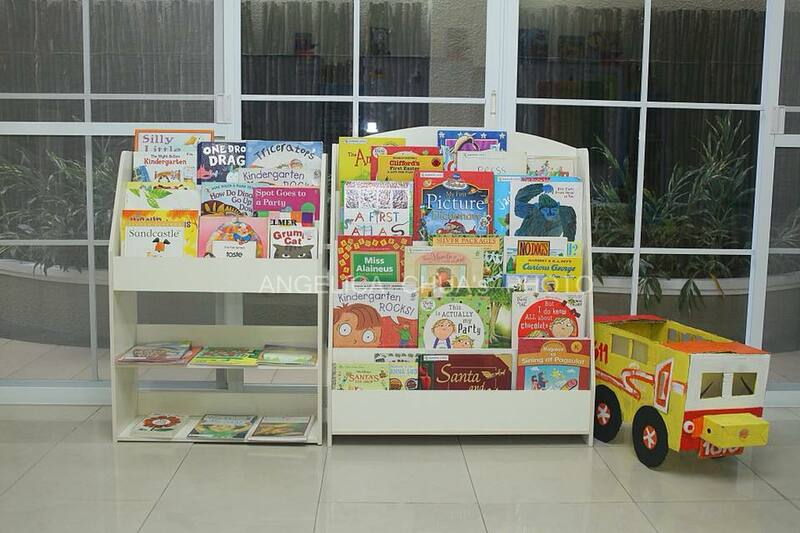 It's a joy to see all the books displayed in a kiddie sized book shelf which I see in some book stores or book fairs. We're happy that we have this now at our very own home. I tried asking someone to customize it for us, but price is just way expensive. Ready-made book shelves in furniture shops are also costly and not many make kiddie furniture available. If you're an IG follower, you'd see how almost every night I post stories about my children and their love for books and reading. I realize how important display is in forming a habit or encouraging children to do something - such as reading. It's also a joy for me to see them actually picking up the books on their own because it's within reach. 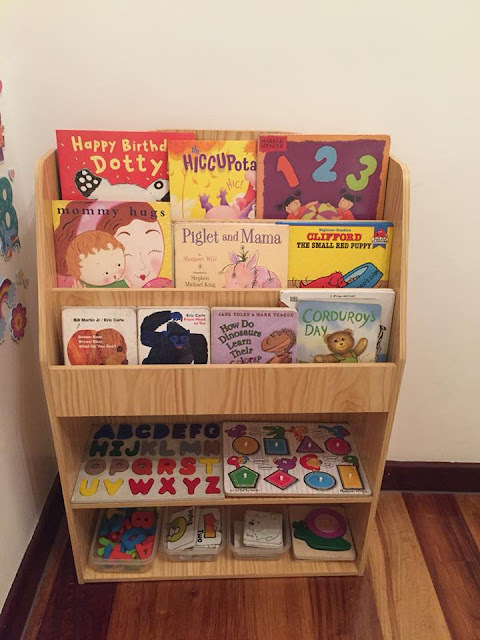 This book shelf also teaches them to appreciate the books they have and properly handle them by putting back the books after use. 1. It fits all 80 books of my kids! - I was shocked myself upon counting all the books that's currently in our book shelf. My kids' books are categorized into fiction, non-fiction, comics, activity books, religious books. They are all there! 2. It's sturdy and durable. This book shelf isn't light, it's heavy because it's made of wood. 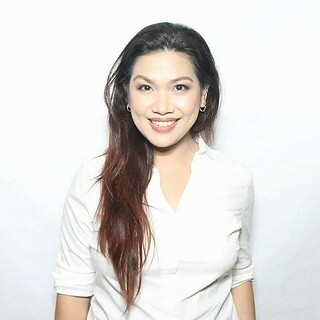 Looking at its make, matibay siya talaga. 3. It's paint-free/lead-free. - This makes this furniture economically-safe and of course safe for children's daily use. 4. It comes in a perfect size. - Most of the book shelves you'll see in the market is not fit for children's use. I love its height, so whether my kids are sitting or standing up, reaching for books won't be a problem. 5. It has extra storage at its back for MORE BOOKS! - You read that right. More books mean more fun! More storage means, less clutter! 6. It's inexpensive - definitely a practical choice. 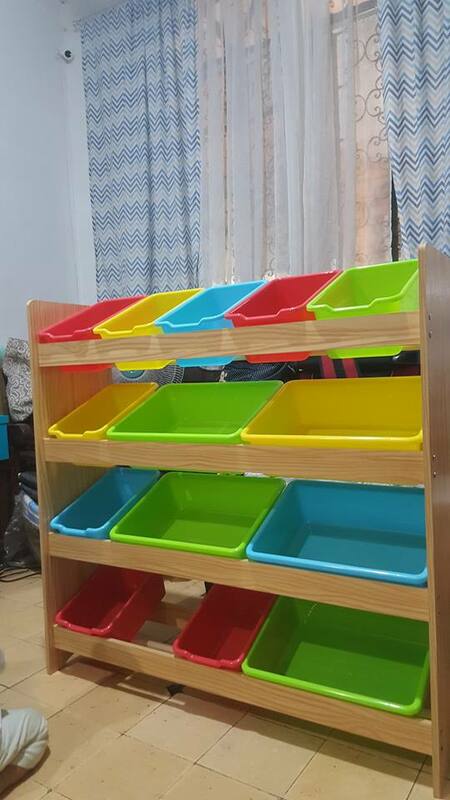 - As I've earlier wrote, if you have this customized, it will come out more expensive and will take more time to have it made plus delivered to your doorstep. Happy Kiddos can deliver this to you and transaction's done within 2 to 3 working days. This book shelf costs Php2,550.00. Comes in two different styles and color. These are in white. 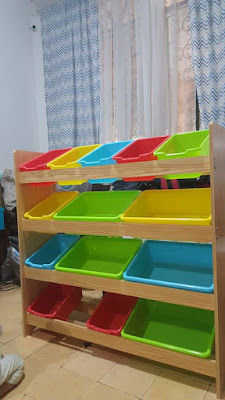 We also got a large toy organizer from Happy Kiddos and it made life easier for all of us. 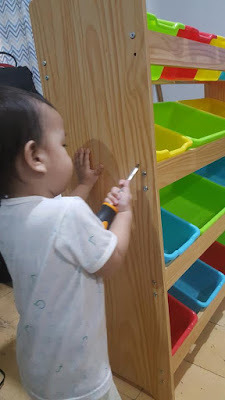 Their toys used to be in different boxes, closed lids, expandable barrels, and what have you but they still tend to be scattered all over and I wondered why. I figured why kids take out all toys from a bin or chest or barrel until they see the toy that they want to play with. It's because they have no visibility of the toys. Toys are piled up one after another after another in a box or bin or barrel. With our new toy organizer, the toys are visible instantly to the kids. The toys are properly categorized and organized. Ours are organized this way, all big toys and small toys go together. All building blocks/LEGOs are together. All action figures go together in one compartment. All car toys in another container. All toys for toddler are organized together. By the way, we installed it ourselves, it's easy to install as it comes with an instruction manual. The toy containers come in small and large sizes which for me is perfect in separating big from small toys or toys for the toddler. Its height is just right so kids could easily get the toys they want to play with. 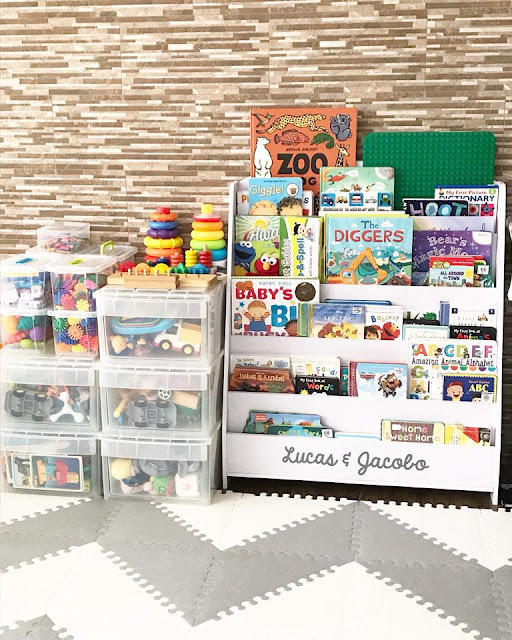 Having a toy organizer such as this makes it easy for kids to play and pack away. It teaches them responsibility and neatness while they're young. Happy Kiddos Toys and Kids' Furniture shop is only available online (for now) but they deliver right to your very doorstep. 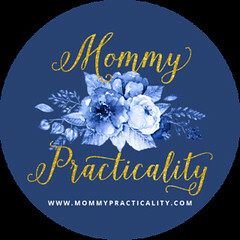 The owner just like us is very generous to give ALL Mommy Practicality readers and followers a 10% discount if you purchase any item from them. 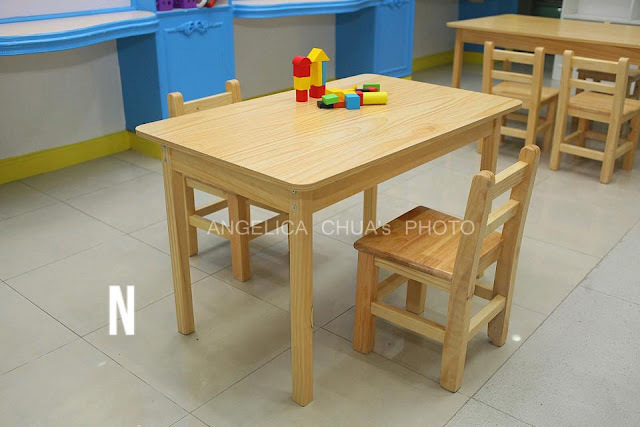 If you are interested in also purchasing your Montessori-inspired furniture, you may use my exclusive code MPHK10 to get 10% discount or just simply tell Happy Kiddos via Facebook that you're purchasing through Mommy Practicality to enjoy the discount. This discount is valid until end of June 2018. 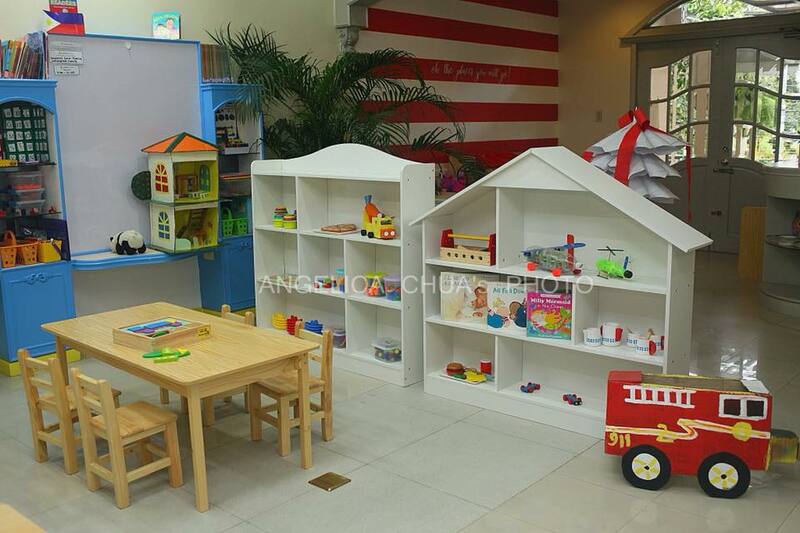 How to reach Happy Kiddos Toys and Kids' Furniture Shop PH? Just follow them on Facebook or Instagram. 1. Follow them on Facebook to see available items. 2. 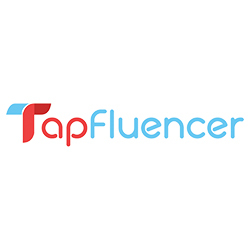 Send them a message of your order and referral code MPHK10 or simply say you're purchasing through Mommy Practicality. 2. They will compute total and reply with how to pay for the item/s. 4. Wait for their order confirmation. 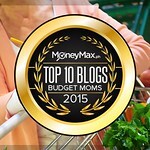 So mommies and daddies, I hope you find joy in this post and that I was able to help you in any way. For more inquiries, just type them in the comment box below and I will reply as soon as I can. Let's all be intentional parents to our children. A little effort goes a long way!